A time tracking software can assist with measuring both personal and team productivity by providing a more accurate idea of ​​how people deal with their own time. It can only help. So, why not explore its full potential? In this article we have compiled 10 reasons to explain why it is worth it to employ time tracking. This article deals both with the general concept of time tracking and with the advantages to use a time tracking software to do so. The concept is self explanatory. To get familiar with time tracking software, we recomend you to try time tracking app primaERP. With time tracking in place, it takes only one quick look to know the number of hours that you or your co-workers have invested in a particular project or customer. With the adequate time tracking software, it should be easy to switch between different projects and therefore you would no longer need to estimate the time spent on each activity. A good time tracker should also have collaborative features, meaning it should allow data to be shared with the people, who are put in charge of generating reports or bills, as an example. The more accurate a team records its’ time, the more useful the data will be for future planning and distribution of tasks among its members. It is necessary to not only know at what stage a project is, but also to check how much of the time allocated for it has been consumed. That information and the successes or failures it represents will also be useful when planning future timeframes. With time tracking, it is easy to know where you stand in that field without having to spend even more time going through records or estimating time. A time tracking software makes it easy to find out which additional resources are necessary to get a project developed in accordance with its stipulated timeframe. If your company lacks the resources to implement a project in time, a good time tracking software will provide you with relevant data (e.g. : what takes longer where) to find out which resources you need to employ and where to get them from. Time tracking, in any form, can help create clear reports. A time tracking app, naturally, can save a lot of time and effort in the process. Even if your customers pay for the end result and not for the time worked, time tracking can be very helpful. It allows you to compare revenues with the actual cost of time. With that information, you can work on adjusting deadlines and/or negotiating prices in the future. There are applications that take screenshots of the screen at regular intervals, to record which sites or programs have been opened at certain times. However, keep in mind that creative individuals and professionals have a major problem with this approach. They are usually not comfortable and willing to work under the microscope. Other models of time tracking can be suitable for them and the result, when it comes to time related data, will be the same. Remember: we are dealing with time tracking, not monitoring. For the latter there are good options, which do not necessarily mix with time tracking. Still, time tracking can be a stimulator. Not one moved by fear but one that will provide workers with information about things, such as whether a particular task deserves more or less attention to detail, as an example. 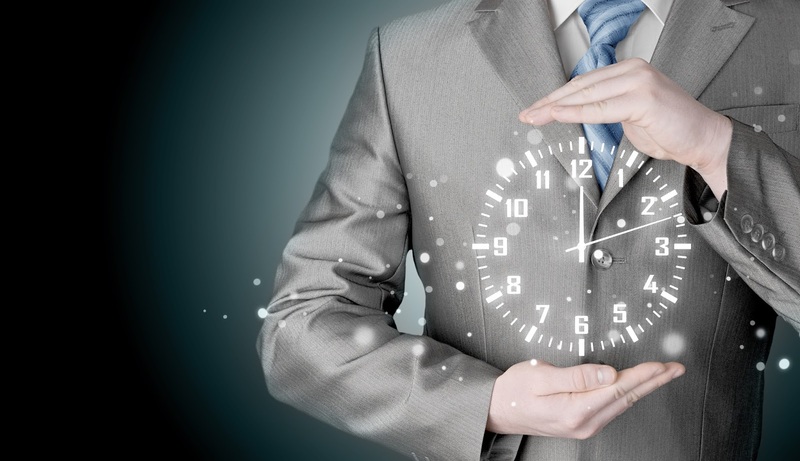 Using time tracking is a great way to identify less productive practices or people. When it comes to team productivity, time tracking helps find out where the efficiency lies, which will surely help to reallocate people and delegate tasks in an optimal way. Some of the time tracking software can connect with project management applications, such as Basecamp. In most cases, it works so that the data from the project management software is shared with the time tracking one in order to create time records with it. An advanced time tracking software often also supports integration with calendars such as Microsoft Outlook, iCal or Google Calendar. A time tracking system makes it easier to improve the quality of the invoices that you provide your clients, by providing accurate details on time, hourly rates, number of employees involved in the project, and the list of activities. If time and its related details are recorded as each member of the team works, you can be always sure that the bill is correct, includes all completed tasks and meets the agreed remuneration. Companies often define the price of the project based on hours worked. Having an overview of how much time past projects have cost will make it much easier for you to set a price for a new one. Of course you have to consider market prices, but that information can be crucial to determine how you can negotiate and from which point on the amount paid is not worthy. Besides that, deadlines can be planned more precisely, considering the available manpower (or how much the client is willing to pay for). With a collaborative time tracking software, you can quickly check how a job is going, even if members of the team are not physically present in the office. That saves a lot of time and energy when it is time to check how much they are supposed to be paid for the job. Time management is very important topics nowadays. Thank you for posting such an informative article on such an important topic. Please keep posting more about these topics.